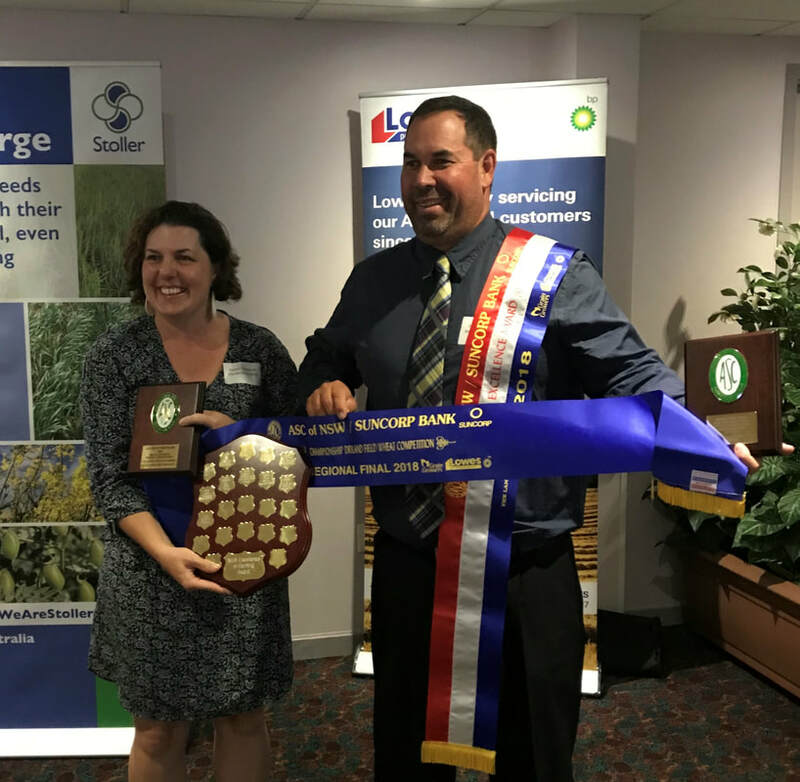 The Moree Show Society held a Field Wheat and Field Durum Wheat Competition this year. The winners of the local competition are then judged in the Northern Region, and the winners of the 4 regions in NSW are chosen to determine the state winner. Glenn Fernance, " Courallie Park" Bellata with his winning crop of the ARTC sponsored competition with Lancer yielding 3.8 tonnes/ha in a very trying season. (L-R) Karen Munn, (co- ordinator Moree Show Society) Brendan Munn (President Moree Show Society), Glenn Fernance, Paul Parker( State Judge). 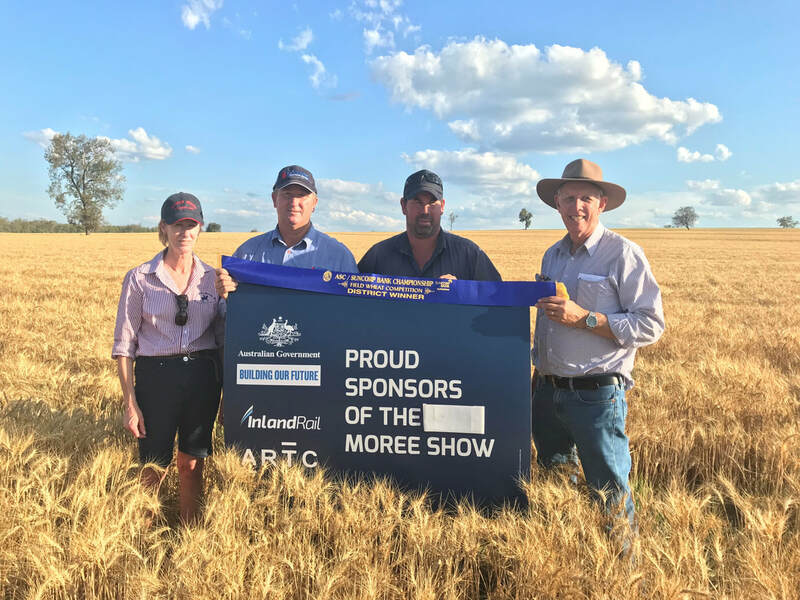 Glenn and Rachel Fernance receiving their prize for the Northern Region winning wheat crop for the 2018/2019 season at the ASC Suncorp Field Wheat competition held at Dubbo on January 11th 2019. Glenn was also awarded the Farming Excellence award for the whole of NSW!